If I were to ask you – How are senior citizens typically portrayed in the movies? – What would come to mind? Maybe you’d think of a sweet grandmother, taking care of their grandchildren. Maybe you’d think of a sad movie, where a senior is sick, dying, victimized, or struggling with memory. Maybe you think of a comedy movie filled with slapstick or crude humor, made even more comical because the person carrying out the joke was “old” and thus defying our expectations that this generation is meek, mild, weak, stuffy, and proper. Most of these characters are on the sidelines without fully developed characters, their needs and desires unspoken. If you are ready for a movie where Senior Citizens finally get to take a front seat, look no further than “The Intern”. The Intern focuses on a modern online fashion business and their Obsessive Compulsive, over-worked Founder, Jules Ostin, played by Anne Hathaway. The company has decided to reach out to the community by offering a “Senior Intern” program which allows senior citizens to reenter the workforce at this booming start up. Seventy year-old Ben Whittaker, played by Robert DeNiro, is hired as one of the four “Senior Interns” and is assigned the coveted job of shadowing the founder herself. At first, we see Jules reject Ben’s offer to lighten her load, as she does with many around her. However Ben’s quiet, consistent, and steadfast loyalty wins her over. Throughout the film, we see Ben evolve from a gimmick or a side show into the most influential partner in the young CEO’s life. He guides her through major personal and business decisions and helps Jules to transform and thrive. Given the subject matter, I believe that the writers could have taken many different courses with this movie. The tired and most typical would be to lampoon the idea that a 70-year old could re-enter the workforce and not be befuddled by the technology or would be slow to learn. There was not one case where the main character, Ben, was shown as being overwhelmed or stumped by modern technology or unable to tackle modern business principles. It does show him handily using a computer and email, but one of my favorite scenes showed Ben laying out, meticulously, the tools he needed for his daily work such as a calculator and writing utensils, while his mid-twenties co-worker lays out devices and tablets. It shows him happily using his “dumb phone” and interestingly, being the only observant one in the room with his head up in a sea of young people with their noses glued to screens. We are shown time and again that “old-school” business practices are still relevant today, even realizing that the fashion startup is housed in the same building where Ben worked in selling and printing Phone Books for decades. He mentors the younger employees, telling them that you should never leave work before your boss does and to always carry a handkerchief. He identifies needs and solves problems on his own, to the delight of his boss. This is a serious job to Ben, and any time someone gave him a pass or told him to take it easy because of his age, Ben didn’t take the bait. He proved that you don’t have to be an expert in a field in order to make a difference. We don’t see him learning about fashion per se, or even needing to, but he was able to make a significant contribution to the business using his own decades of experience. We also get to see Ben, a widower, begin a significant romantic relationship. While part of his attraction was made humorous (likely earning the movie’s PG-13 rating), we are charmed with a bit of romance and observe the benefits of seniors finding a second love. He and his love interest have a very vibrant, lighthearted relationship. Using his wisdom on love and marriage, he was able to help guide Jules through personal trials in her life as well. And while he is portrayed as an ethical and honest man, he never judges his younger counterparts or offers unsolicited advice or lectures, as we may have come to expect a senior to do when dealing with younger counterparts. There are many reasons this movie reminded me why Senior Citizens are so vital to our fast-moving world. One of the best reasons is that Ben’s experience and wisdom allowed him to see Jules and her company for what it really was. He observed, rather than trying to lead or take over, although he was qualified to. And when he had finally proven his worth and it was asked of him, he was able to clearly frame his observations in a most helpful and positive way. If you’re looking for a fun, heart warming movie that shows seniors in the limelight, grab The Intern. Check out our new listing in The Hills of Lakeway! I was at the 2014 walk to end Alzheimer’s planning meeting. The walk this year will be at Camp Maybry. What a great location for the walk. The date has been moved to October 12th. I look forward to an amazing day earning funds to end Alzheimer’s. Dec 10th, 2013, the Austin Senior Resource Alliance hosted a presentation made by the Area Agency on Aging at the senior living community, Provident Crossings. Close to 40 professionals who specialize in working with seniors in the Austin area attended the talk. Jennifer Scott, the Director of Aging Services answered questioned asked by the moderator Cyndi Cummings, Broker Associate with Keller Williams Realty. The attendees learned more about the services that are provided by the agency and how they were about to assist 20,000 adults in their last fiscal year in the 10 counties surrounding Austin. The agency can help with referral information, health and wellness programs, benefits counseling, ombudsman assistance, care coordination and caregiver support. If you know of a senior who needs help in any of those areas and they reside in a rural area, have econmic need, have social need, have disabilities, are limited with english-speaking abilities or have Alzheimer’s or related disorders you can suggest they contact the main telephone # at 512-916-6062 or 1-888-622-9111. We also learned how we can help the agency out but volunteering. One program that was of interest to me is the fall prevention program. This program goes out and teaches seniors in classes to improve their balance. 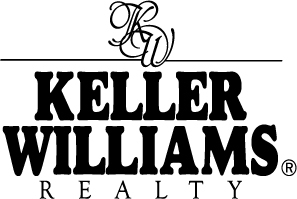 The Area Agency on Aging and the Austin Senior Resource Alliance hope to partner again by presenting seminars at the Keller Williams office in Lakeway in 2014 for seniors in the area. that they are currently not able to service the Lakeway area. Meals program. While I was delivering the meals I noticed that the recipients were kind and thankful and I was happy just to help for one hour to make their lives more comfortable. Friday was the first of hopefully many days that I will assist in meal delivery in the Lakeway area. During the delivery I learned more about the Lions Club and their other philanthropic programs. I am planning on attending one of their monthly meetings soon. If you or someone you know could use the assistance of home-delivered meals 3 days a week, please contact Lion Member-Linda Davis at 512-799-2924. Cedar Park, TX: As the population ages, more and more senior citizens and their caregiver families are faced with the challenges of “downsizing”: usually a move for the elder from the traditional family home into a smaller apartment or an assisted living community. To help Cedar Park seniors and their families accomplish this life transition with the most ease, local real estate agent, Mover, Home Stager and Move Manager called the Austin Senior Resource Alliance of Austin teamed with Highland Estates Senior Living Community to provide the free seminar “Downsizing Made Easy” at Highland Estates located at 1500 N Lakeline Boulevard in Cedar Park. Senior citizens and their caregiver families from across Austin had the opportunity in a casual – yet educational – manner to receive a number of tips and plenty of guidance from Cyndi Cummings a real estate agent who specializes in working with elders as they consider the sale of their family home and a move to a smaller apartment or senior living community. The seminar included a presentation and discussion of The 5 Steps to Downsizing Made Easy along with topics like what to consider before making a move, senior living options, questions to ask when touring retirement communities and skilled care facilities, tips for hiring various professionals related to the moving process, guidance on estate sales and estate auctions, and many other pertinent topics. Lakeway MUD- HMMMM what do you think? War wounds reopened at Lakeway Municipal Utility District’s board meeting Jan. 9 meeting as directors discussed a land tract that has served as a battleground between the district and the City of Lakeway in on-and-off-again feuds. At the core of this latest flare up is a triangle-shaped 3.21-acre tract in the Village of The Hills that exists in both Lakeway and Hurst Creek municipal utility districts. If LMUD turned the parcel over to Hurst Creek, it would release one of several district tracts that fall outside Lakeway city limits. Should all of LMUD exist within Lakeway, that alignment would eliminate one obstruction in the city’s ability to take control of the district. Board president Karl Ansbach questioned why the district would want to correct the overlay that Texas Commission on Environmental Quality has ruled inconsequential. “If there was a valid reason … then that would be different,” Ansbach said. Neese denied a realignment would play into the city’s hand. Board member Jerry Hietpas said he perceived the move as a renewed takeover. He questioned how Lakeway would provide water and wastewater service to all residents using only LMUD’s infrastructure, which does not connect to several sections of the city. Several other districts service about half of Lakeway. Board members tabled the item to their Feb. 13 meeting. Lakeway Mayor Dave DeOme denied any takeover attempt by the city. Westminster Manor has recently expanded their campus to offer a continuum of care for residents over 62 in the Austin area. The community has an entrance fee that starts around $80,000. This community is a not-for-profit community which sets it self apart from many other communities. In real estate we say what is most important is location, location, location and that is the best feature of this community. You are in the center of town and all that it offers from restaurants, the Arts and of course the University of Texas. You will want to start early making plans to move in as the average wait can be around one year. Feel free to call Heather Potts and participate in one of their monthly luncheons where you will learn more about the community and all it has to offer. For just $5,000 you can go on the wait list and be informed as soon as an apartment becomes available. This was my first visit and what I found so refreshing was the professional staff and their desire to make everyone feel so welcome.